It’s a challenging task for any Higher Education Institution to get businesses really involved on campus. It’s even more challenging for professors and administrators to build and nurture relationships, professional networks and ongoing programs that light the pathways for students to gain valuable real-world experience that opens the door to their career. 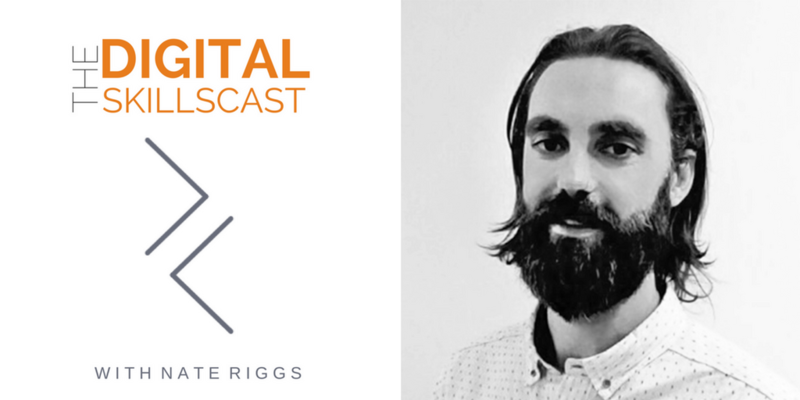 For this week’s Digital Skillscast episode, our guest and his partners believe that technology can provide the answer. They believe it so much that they’re building an experiential learning platform that is helping to close the skills gap. In last week’s episode, I flew solo. Throughout the show, I shared information and ideas on how to apply podcasting in a higher education context. A podcast can be a useful tool for a broad range of activities, such as student recruitment initiatives to engaging with alumni to creating a flipped classroom experience. We briefly talked about how Apple’s iOS will be changing to deliver better analytics around podcast consumption. Why is this such a big deal? Well, Apple iTunes hosts 55% of all podcast listeners. Dana considers himself a lifelong learner and a radical doer. He has an ability to bring out confidence and trust in every client, even those who are more skeptical. Dana set a goal to graduate from the University of Victoria without any student debt or support from parents. That’s when his entrepreneurial journey began. Combining his interests in social entrepreneurship, education technology, and HR, Dana set on the path to improving education and recruitment systems in order for future generations to transition more easily into successful careers. He wanted to create a way for companies to easily find talent to help create future growth and success. At graduation, he combined his talents with that of his peers to launch Riipen – an online educational platform that enables schools to provide relevant work experience learning at scale. 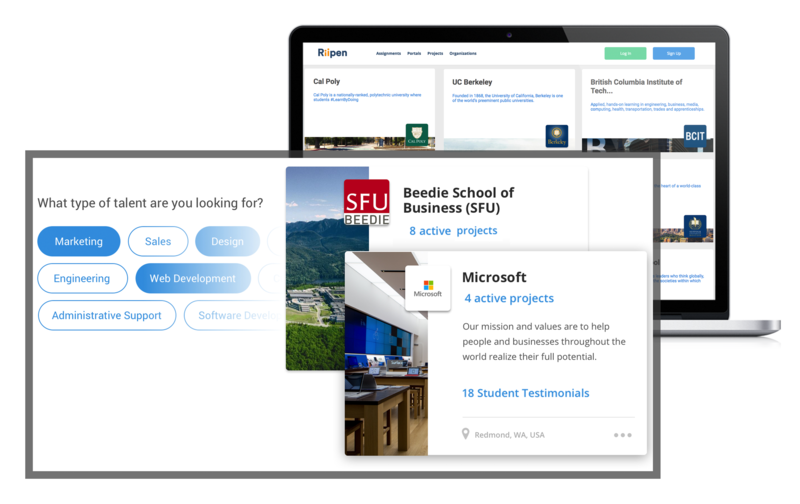 At the University of Victoria’s Pete B. Gustavson School of Business, they operate on a “two plus two” program. This means that you don’t take any of your core business courses until your last two years. The electives fill up the first two years while the last two years are very condensed. Dana was attracted to this program because it allowed him to explore different paths and also work full-time while going to school. Though his grades were fantastic during the first two years, once he arrived in his third year, he began falling behind. He began thinking “What do grades even matter?” That’s when his attraction to entrepreneurialism was realized. One of Dana’s professors brought in a company that does exactly was Riipen empowers. The CEO was a friend of the professor and he presented them with a business case. The class was instructed to figure out how he can make $20 million in three years. After the initial shock wore off, the engagement of the students skyrocketed. They knew that after they figured something out, they were going to be pitching to a CEO of an actual company. But now everyone has a degree because it’s a requirement to just get an interview. More than one-half of college grads are working a job that is completely unrelated to their degree. Dana recently attended a conference in Boston. A man from Gallup stated that a recent study showed that 96% of chief academic officers today believe that their students are adequately prepared for the workforce. The top business leaders across North American disagree – only 11% of them would agree. This massive misalignment is more than likely what is causing the gap in skills and the highest graduate unemployment rate in history. What’s the purpose of education? According to the another Gallup poll, 88% of students say they went to college to get a job. If the industry continues to iterate faster and faster, how do we help our education systems keep up? That’s the problem that Riipen is trying to solve – graduate students with the right employable skills and the right experience to land meaningful jobs upon graduation. 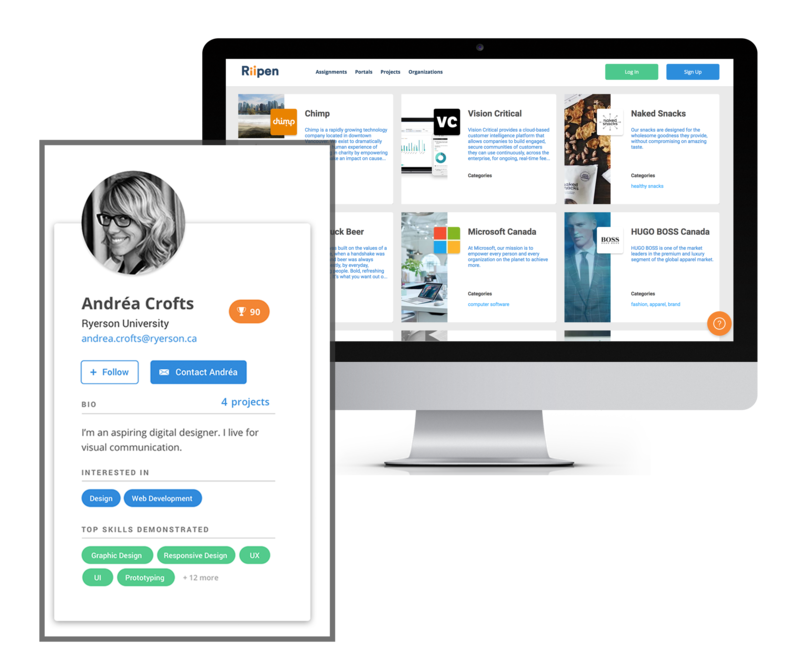 An educator from a partner institution can log onto the platform with the hopes of their students getting a real-world learning opportunity. They are in full control and can design a learning experience that aligns with the learning objective of the course. After the student has completed the assignment from the instructor, they post their assignment to the marketplace. It is then marketed to Riipen’s industry partners who has indicated interest in that type of project. 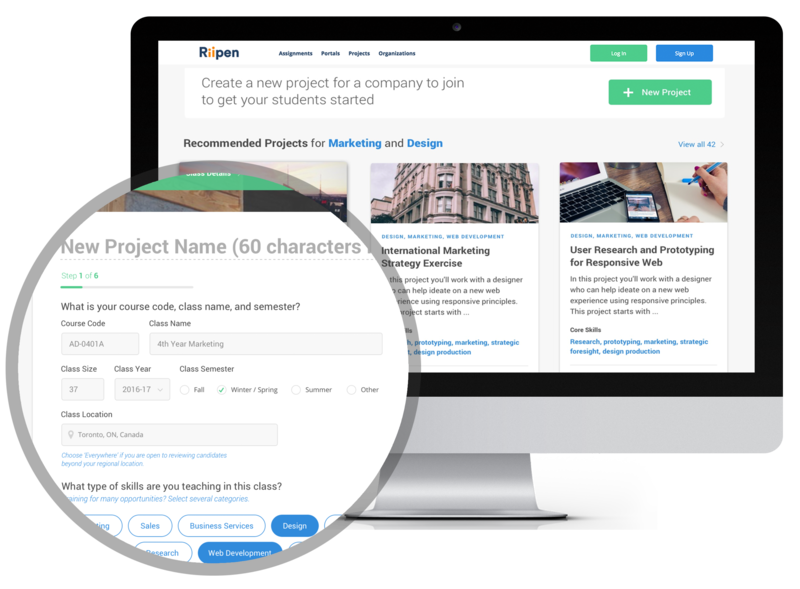 Riipen’s mission is to eliminate graduate underemployment. As a for-profit organization, in order to solve this global issue, they need to prove that they are a viable, profitable business. Riipen is beginning to move beyond just the classroom and campus. Students will build up their portfolio, which they can show off to employers, but they will always have it to come back to. Even after they graduate, they will still retain their portfolio. There are online programs that they can continue to take or open challenges they can do – it’s really about lifelong learning. As Riipen grows, they’re striving to continue helping students long after they graduate and help them build themselves by taking on challenges to continue expanding their portfolio. They will develop new skills which can help anyone who is attempting a career change. Riipen.com is the best place to go to learn more, where you can see everything from students, employers, and educators. You can sign up for webinars and newsletters or if you’re an educator who is interested in participating, simply sign up and a connecting associate will contact you right away to set up an exploratory call. If you’re interested in becoming an industry partner, you can explore the marketplace or sign up directly and you’ll also be contacted by an industry partner specialist who can help match you to the right projects.